Geothermal technology utilizes the constant ground temperature below the soil surface to give you an efficient means of both cooling the air in warmer months and also heating the incoming air during the harshest months of winter thereby maximizing your budget to the greatest degree possible. With 6 very convenient locations to serve our customers, “Masters gets there faster” to serve you better. 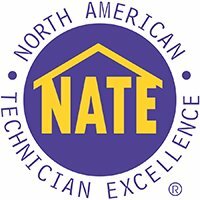 Masters has the highest professional technicians available over a wide geographical area to ensure our customers have the availability of the latest environmentally-friendly heating and cooling options. With a geothermal system, your home can not only have comfortable and welcoming indoor temperatures but will also leave a minimal carbon footprint on our environment. A geothermal system uses a series of horizontal and vertical bored loops of piping to provide the means for cooling and/or heating the air into your home; and, Masters offers WaterFurnace geothermal systems, which are locally manufactured in Fort Wayne and is one of the largest dealers in the midwest. 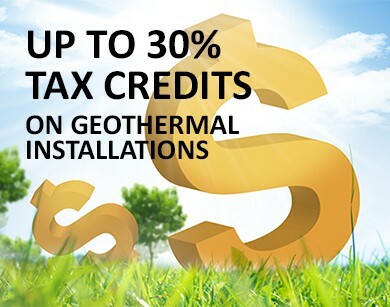 Geothermal is very cost-effective and offers a high return on investment. Up to 70% utility savings! Additionally, federal tax incentives have been extended until 2019. Energy Efficient – WaterFurnace systems are rated number one in energy efficiency because they can deliver more than five units of energy for every one unit of electrical energy used. Comfortable – WaterFurnace units are designed to run more often at low speeds to provide stable temperatures throughout the home and help eliminate hot or cold spots. Cost Effective – Because of the extraordinary efficiency of a WaterFurnace system, most homeowners save more on monthly bills than they pay for the system when installation costs are added to the mortgage. Quiet – WaterFurnace systems don’t require noisy outdoor units that can disturb your peaceful surroundings. Environmentally Friendly – Geothermal systems are recognized by the United States Environmental Protection Agency as the most environmentally friendly, cost effective and energy efficient heating and cooling technology available. Reliable – Geothermal units aren’t subjected to the punishing effects of outdoor weather or fuel combustion, so they last longer than nearly any other heating and cooling system. Clean Air – Large, high efficiency MERV 11 filters come standard with our units to provide exceptional indoor air quality and protect your family from dust and pollen. Flexible – One compact WaterFurnace unit provides heating, central air conditioning, and supplemental domestic hot water for your entire home. Safe – Because natural gas, propane, or oil isn’t required to operate a WaterFurnace system, there are no combustion, flames, or fumes and no chance of Carbon Monoxide poisoning. Less Obtrusive – WaterFurnace systems don’t require conspicuous wall-mounted equipment or outdoor units that create unsightly additions to your home’s appearance.